Why are there so many bottles in the Cooks River? Home > Cooks River > Why are there so many bottles in the Cooks River? Sadly, anyone who has walked along the Cooks River in recent years has probably asked themselves this question. 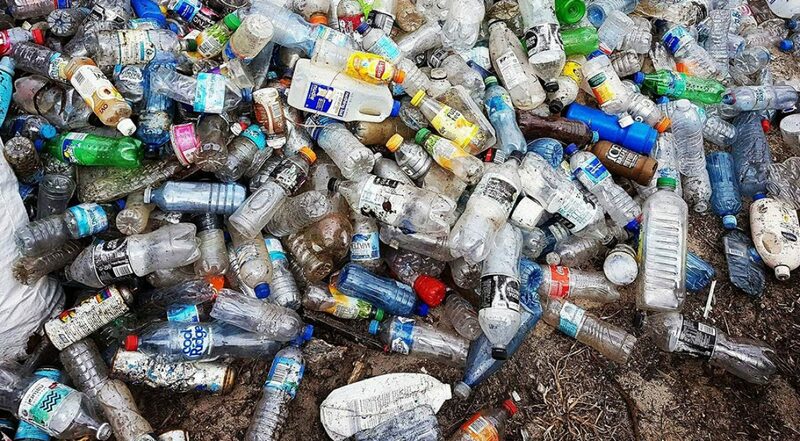 In certain parts of the river, litter such as plastic bottles, cups and bags (also known as gross pollutants), are clearly visible and often build up after heavy rain. However the solution is not as simple as ensuring all litter beside the river ends up in bins. The Cooks River catchment (the area of land which feeds water to the river) is approximately 100km2 and about 90% urbanised. That means 90% of the land is used for residential, commercial or industrial use which would typically feature concrete, paved, or other hard surfaces. As a result, 68% of the rainfall in the catchment ends up in the Cooks River as there are not enough pervious – or penetrable – surfaces to absorb the stormwater. As the stormwater rushes off our roofs, driveways and roads, it flows directly into drains and into the river, picking up pollution on its way. And it’s not just the pollution we can see. Along its way, stormwater picks up oil and chemical residues which also end up in the river. That’s why it’s not just the litter right by the river that matters, as litter anywhere within the catchment can end up in the Cooks River. Install a rainwater tank or raingarden, or increase pervious surfaces to reduce the amount of stormwater flowing to the river. See our Instruction Sheets for further details. What are authorities and other groups doing? 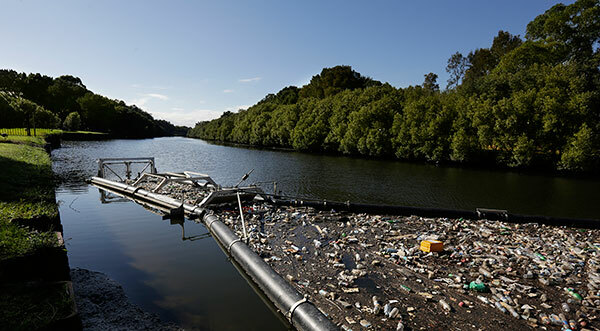 Sydney Water, with Councils, have installed litter booms in several locations along the river. Gross Pollutant Traps are also placed on major stormwater outlets. These capture larger items of litter which can then be removed. The Alliance, with Councils, have built raingardens which capture and filter stormwater and slow its flow to the river. Councils and community groups organise regular clean-ups of parks and reserves by the river. The Alliance also runs a regular program with Corrective Services to remove litter from within the catchment on a weekly basis. The Alliance are also working to advocate for consistent sustainable urban water management, development controls and policies across the catchment. There are also high hopes that the Container Deposit Scheme (CDS), once implemented, will improve the situation.